Does Hauling Waste Yourself Pay Off? Finding the location of the nearest landfill is an important factor when you are considering hauling your waste yourself. If you live only 10 miles from the landfill or transfer facility then it might be viable to haul the waste yourself. Although if you live 100 miles from the nearest landfill, it might not pay for you to dispose of items yourself. You also need to make certain that the landfill you choose accepts the types of waste that you want to haul off. All of them don’t accept all types of materials. You will need to be aware of the cost to dump your waste in the landfill also and how it is calculated either by a truck load, trailer load or by weight or size of the contents. Determine how many trips you will need to make to dispose of all of your waste. This will factor in the amount of time and gas for you to make multiple trips. If you have your own truck and utility trailer, determine how much they will hold without being overloaded. Will you need more than one trip to haul all of your waste? If you have your own truck and trailer, it makes a bit more sense to DIY your waste removal yourself, especially if the landfill is nearby and you only need to haul one load. If you don’t own a truck or trailer, you will need to rent a truck and trailer. You should also consider the amount of time you will need the rentals and find out how many miles a day you can use them without going over the mileage allowance and incurring extra fees. If you have a car and only rent a trailer, be aware of the weight capacity of the trailer when loaded and make certain that your car will be able to handle towing the loaded trailer. If you end up doing harm to your vehicle by towing too much weight, it can mean an entire new engine or transmission will be in your near future. In the case that you just completed a remodel job on one room in your home, consider if you need to hire help to load all of the waste materials on the truck and or trailer or if you can easily load it yourself. You will also need to consider that the hired help should be paid by the hour for the driving time and while unloading the debris. Even small remodel jobs have a lot of waste materials that can be quite bulky, such as flooring, cabinets and doors as well as sheetrock or paneling from the walls. It may not be the weight of the items that necessitate you hiring help, but it can be just due to the size of items that take two people to carry them. When hauling waste yourself, it can take a significant amount of energy and time to load the trailer and truck with all the debris. Then you have to make certain to have it secured properly for the transportation. When you get to the dump site, you will pay the dumping fees and you may have to unload all of the debris yourself and then drive back home. This is for only one trip. For your larger projects it may require multiple roundtrips to dispose of all the waste. Your time is quite valuable in removing debris from your home. Not only can it be back breaking work, but also you have time involved in loading the truck, driving, unloading and going back home. This is time that just doesn’t pan out for you when hauling your own waste in several trips. Make certain you are aware of all of the city and state transport and disposal laws for waste. If these are violated, it could cost you a huge fine. Whereas, a dumpster rental company already knows of all the regulations, as they deal with them every day. You may be required to not only secure your load, but also to have a tarp over your debris to lessen the risk of your load shifting and causing traffic accidents. If you have large quantities of junk or debris to be removed, you will benefit from renting a dumpster. This also allows you to work at your own pace when loading the dumpster and you won’t be rushed to do too much in one day, which can often lead to injuries and result in down time for you from work–another great expense in conjunction with medical bills. 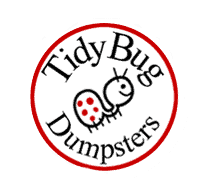 You need to consider your physical condition when making a decision of hauling waste yourself or renting a dumpster. The actual costs of removing items yourself may only be a few more dollars to rent a dumpster rather than do it yourself. A bit more money for a dumpster certainly pays off, as it gives you back a lot of effort and time that you would otherwise need to put into a DIY project. The dumpster company takes care of all of your tasks in that all you need to do is load the waste in the dumpster yourself. You have no extra costs of renting trucks, trailers, gasoline, mileage and it saves you a lot in time.